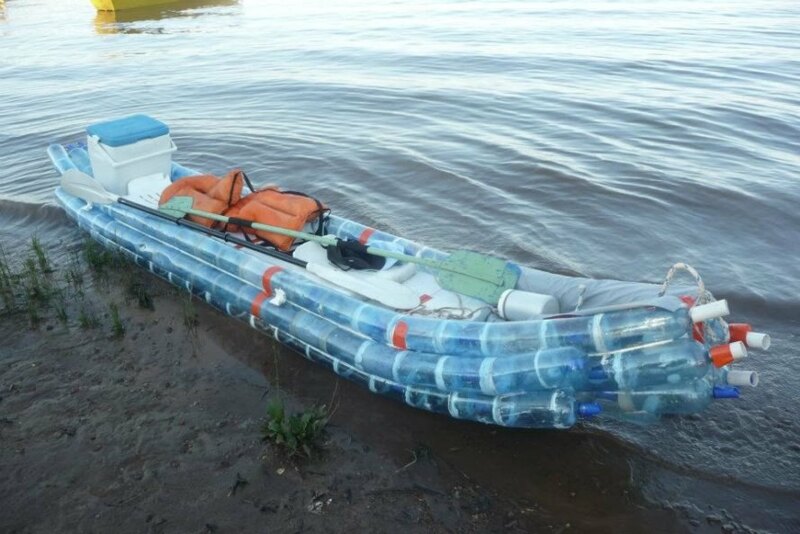 Here at Inhabitat, we’ve seen other water-vehicles made from recycled plastic bottles like San Francisco’s Plastiki and Fiji’s Bottles up!, but this cool kayak in South America is one that actually looks feasible for a normal person to make themselves. Built in the Villa Elisa region of the Entre Rios province, this eco-friendly kayak shows how fantastic recycling plastic can be. Check out this video of it in action here! Nice job!!! what kind of glue did you use for the plastic bottles? Hey folks, this video link shows how it was made! are there plans to post plans for this boat? are they posted somewhere? I am also looking forward to get an instruction kit or menu for building one myself. Many thanks. parabéns! fiquei feliz em saber que podemos reciclar as garrafas pety, e virar um barco valeu! I would like to make one. It looks like pvc might run through the bottles? I wonder what the floor is made of? What kind of glue do they use? 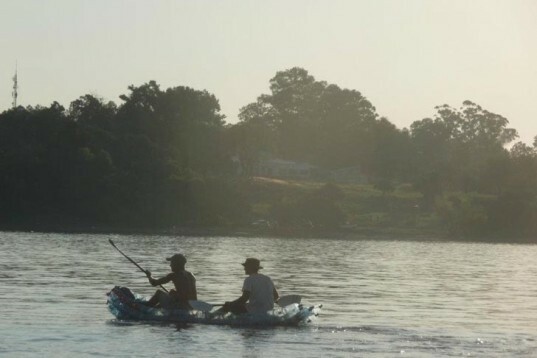 Industrial engineer Federico Blanc had a dream to float down Argentina's gorgeous Parana River on a recycled kayak, and his vision recently came to fruition! Blanc collected dozens of plastic soda bottles and glued them together to create his fantastic blue kayak. Simple, strong and eco-friendly, this boat can carry up to 2 people plus a cooler for when the rafters get hungry.